Valve recently announced that the launch of it’s upcoming Steam Machine had been delayed. We should now expect the Steam Machine to be with us sometime around 2015. All Steam Machines will run on the Steam OS which is an open source Linux based operating system. Hardware configurations of the prototypes sent to users include Intel’s Core i7 and i5 processors coupled with 3 GB of GDDR5 RAM. They also include Nvidia’s GeForce GTX Titan, GeForce GTX 780, GeForce GTX 760 and GeForce GTX 660. Well, now BBC news is reporting that Nvidia itself has a direct competitor lined up for Valve’s Steam Machine project. The new gaming device will be able to connect directly with PCs to supplement it’s own processing power. The device is expected to be a Shield follow up with a different form factor. According to BBC, Nvidia’s new device is to be a Shield follow up. It will reportedly focus on the living room, which will make it a direct competitor to Valve’s Steam Machine project. The new Nvidia device will be able to stream games directly from PCs. These will of course be PCs which will be able to support the Nvidia GeForce Experience. 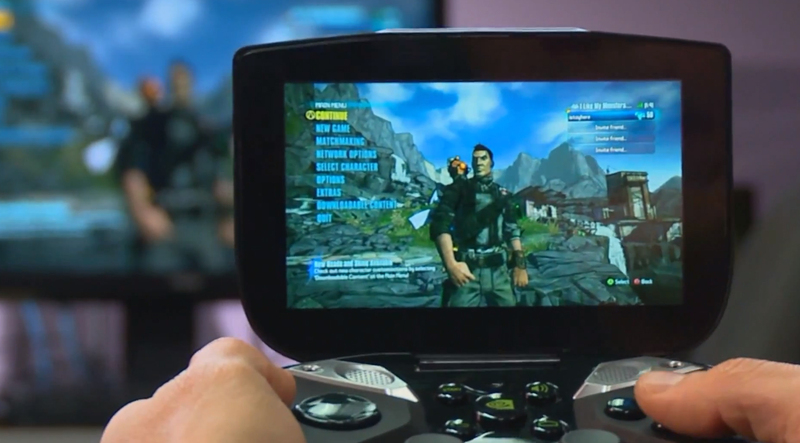 The device features an HDMI output, and according to the BBC, it includes the ability to “also stream PC games”, thus implying that it also has a screen. The device will also come featuring Nvidia’s Tegra K1 SoC. The Tegra K1 includes an ARM powered CPU and a 192 Core GPU. This is another similarity with the rumored Shield tablet. In addition, the launch of this device might be Nvidia’s way of encouraging other manufacturers to try the Tegra K1. Currently, the Tergra K1 is used in a limited number of device, despite being an impressive piece of hardware.